Excellent news! Remember about a year ago when I put up a fan survey as part of my research for a chapter in an upcoming Vivien Leigh compilation book? Well, that book has finally appeared on the Manchester University Press website and is slated for publication in November of this year. Both the Leigh and Olivier archives contain a significant amount of mail sent to Leigh from Japan. The post-war American occupation of the island nation brought with it significant Western influence, including the resumption of Hollywood film imports that had ceased during the war. 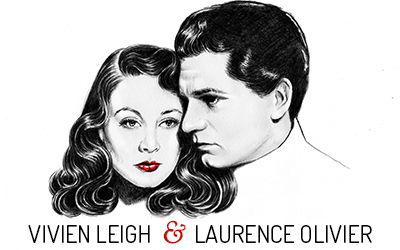 It is likely that Leigh’s films made between 1939 and 1945 were part of the backlog that built up in the Hollywood and British studios during the years of international conflict, which would explain why the earliest archived letters she received from Japanese fans date from around 1950. The new influx of American films also coincided with a productive period in Japanese cinema, with acclaimed directors releasing some of their best work – Akira Kurosawa: Rashomon (1950), Seven Samurai (1954); Kenji Mizoguchi: Ugetsu (1953), Sansho the Bailiff (1954); Yasujirō Ozu: Tokyo Story (1953). Cinemagoers had a rich selection to choose from. These fans were not only eager to tell Leigh how much they appreciated her and her work, they were happy to share with her aspects of their own culture. Colorful cartoon sketches adorn corners of ageing paper; souvenirs and snapshot photographs are still tucked into yellowing envelopes. Tokens of appreciation that provided glimpses at life on the other side of the world. 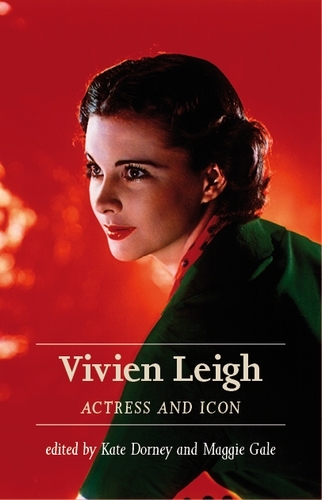 Vivien Leigh: Actress and Icon is being published to commemorate 50 years since Vivien’s death. Pre-order your copy here. Thank you for sharing the news about when the book will be released. I very much enjoyed reading the excerpt. It definitely piqued my interest. I want to read more of it right now! I like being able to place myself into the shoes of others, in a way, to get a new perspective on things, and it looks as if this chapter will be a great opportunity to do so. I was so happy to see in my e-mailed this morning a new posting on your website. It put a bright spot in my day. Thank you! Thanks Catherine! I’m going to try and update more frequently going forward. I’m glad the chapter excerpt piqued your interest! Good evening, Kendra! Could you please delete my previous comment? I was mistaken when I wrote it. Thank you very much in advance and sorry for interrupting you! 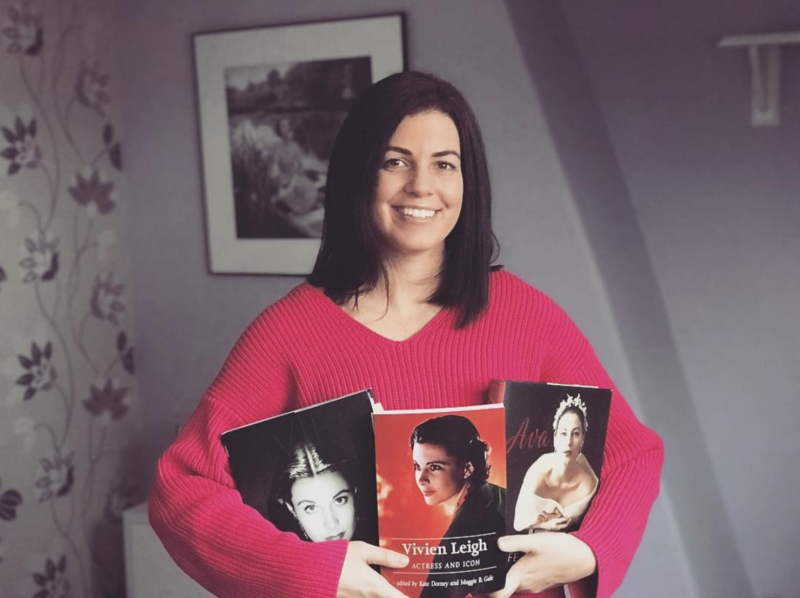 I am writing you in connection that you are famous Vivien Leigh’s biographer and, I suppose, that you know about miss Leigh more, than anyone else. I am a Vivien Leigh’s fan from Russia and I admire your website about my favorite actress! I would like to kindly ask you for help me. I saw on this website (https://www.google.ru/amp/www.dailymail.co.uk/femail/article-4836868/amp/Sotheby-s-sell-Vivien-Leigh-s-private-collection.html) one photo, that shows a girl, playing with the spaniel who looks like Vivien Leigh. But I am not sure that it is miss Leigh, on that photo. May I ask you please to see this photo and write is it Vivien Leigh or not?